When you have a small home, you look for every crack and crevice to create more space. Attic rooms have long since been an extra space that families have squeezed everything from storage spaces to MIL apartments. 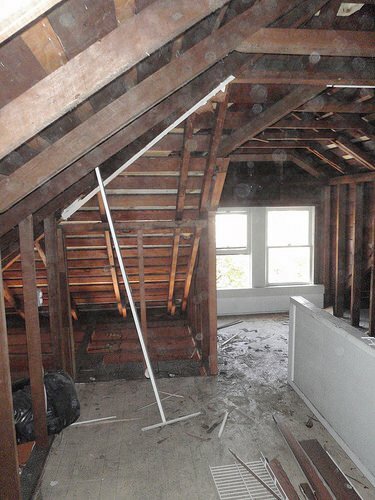 So we wanted to inspire you to think about all your awkward spaces in new ways, and if you do have an attic… Hallelujah! Why? Because as these attic room ideas will suggest, you can have a bright, functional, well designed… even decorated room in the attic! Our first photo is an attic office design by Christine Remensperger, photos by aqui architekturfotografie. 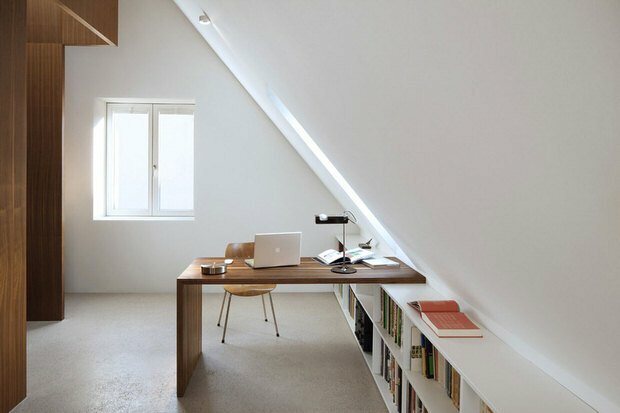 An attic is the perfect place for a home office! It’s usually set away from noisy playrooms, and the small space isn’t a barrier to having office space. Plus, those awkward space are great for storage. By Grace Bonney from ‘Design Sponge‘, this attic transformation before and after shows you how a really scary looking space can be made into a bright, livable spot for your whole family! 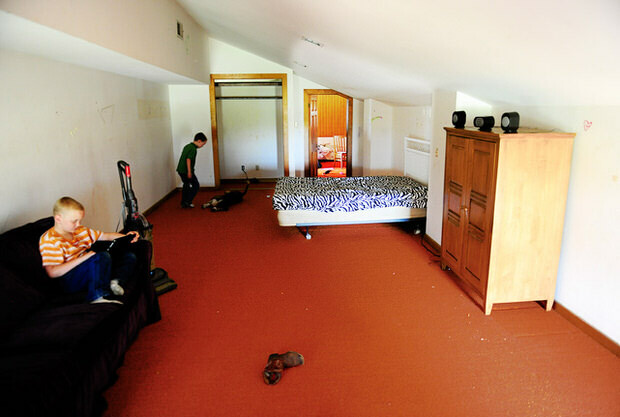 Not just for attic bedrooms anymore… Photos by TJ Thoraldson. ‘Kelly Rae Roberts‘ shares her complete home makeover with us, and her attic bedroom / master suite is so cool! 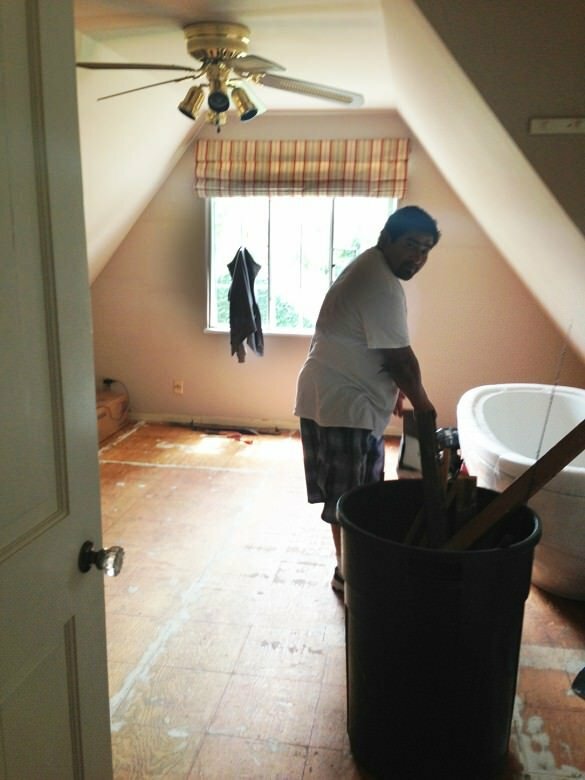 Look at this master bath in the attic! 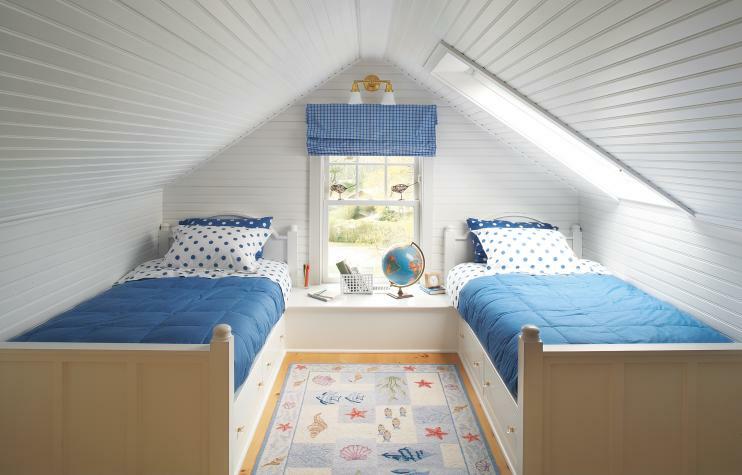 This kid’s attic space from ‘This Old House’ is an example of a light and functional space. What kid wouldn’t want to be tucked up in the attic bedroom like this? Read through the story, lot’s of photos and ideas for any homeowner thinking of expanding their family, or just making more space, less fights. ‘The Pioneer Woman’s’ attic bedroom makeover, via ‘Country Living‘, will stop you in your tracks. First, let’s talk about those hanging beds. If you are interested, Country Living has complete DIY instructions for the beds. The room was designed for her two daughters to share, and they are crazy lucky young ladies. Check out the before, and after! 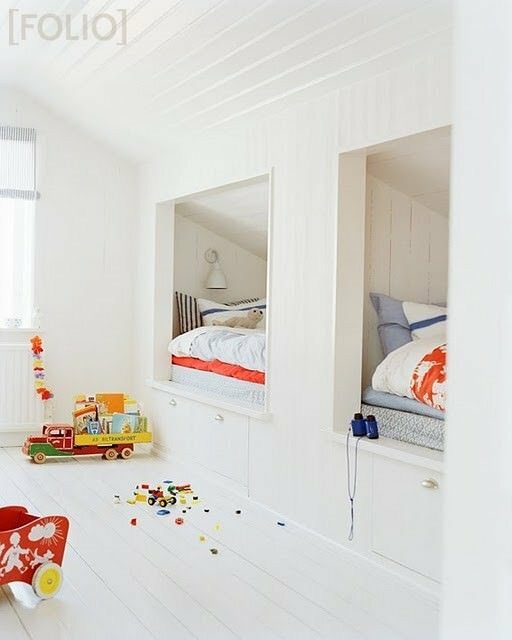 Here is little inspiration from ‘Folio‘… I love the built-ins and the use of all the white wood in this cheery attic room. Last, Shannon Wollack and Brittany Zwickl of Los Angeles-based design firm LIFE.STYLE designed this kid’s attic bedroom that works mostly as a playroom with space for sleepovers as well. Photo by Diane Relth. 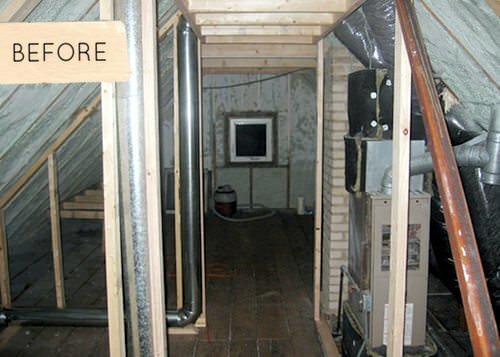 We hope you loved the attic bedrooms and other attic room ideas here in Awesome Attic Transformations! We think you will also love our posts on DIY Murphy Beds and DIY Bunk Beds! 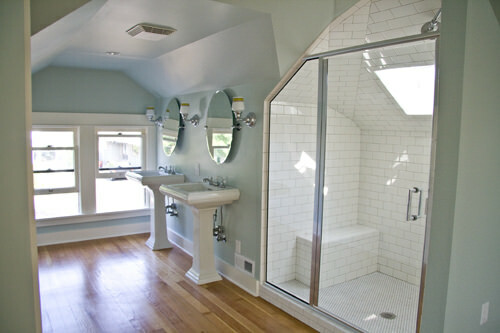 First of all, thank you for the photos of these wonderful attic conversions. I wish my parents could have done this to their ancient little farmhouse when it was still standing. Second, but far from least, thank you for writing an intelligent article with proper grammar and punctuation. I can’t tell you how frustrating I find most blogs and other writings to be, with their foul language, poor use of syntax, barely understandable wording, and the constant, and idiotic, use of the word “right?” It’s as bad as “you know,” or “um,” but in writing. Your entire article was a pleasure to read, so again, thank you. As an aspiring writer who is in her 60’s, I read a great many blogs and news articles, learning both what to do, and what NOT to do. Hi Joyce! Thx for the kind words! But in defense of today’s writers, (except the foul mouthed ones, never ok!) I would like to point out that writing for blogs and online platforms is a lot like writing in the same casual way one speaks, so while I understand your frustrations, it isn’t the same as the book and magazine writing of days past… (Of which I also wrote for!) But every writer has to find her voice, and good for you for knowing what yours will be! Good luck in your writing career!